Edmund Halley made a mark of significance in the Mathematical world; his interest in numbers didn’t prevent him from cladding other professions and fields. He defined the multi-tasking nature of such academically stimulating people; he is also referred to as an astronomer, meteorologist and physicist. 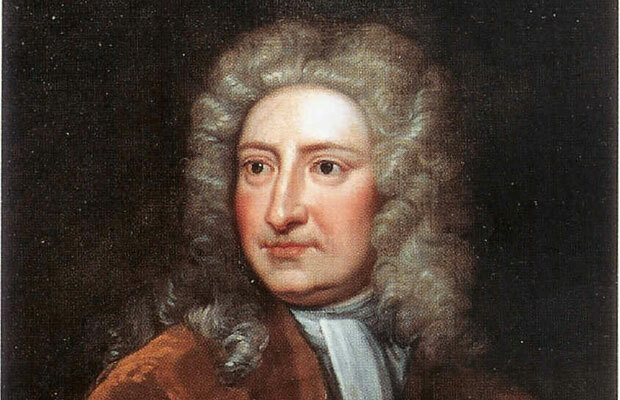 Edmond Halley was born on 8th November 1656 and passed away on 14th January 1742. The English mathematician was born in Haggerston, Shoreditch, England and developed an interest in Mathematics from a very early age. He attended St Paul’s School and for further education he went to Queen’s College, Oxford. Halley got married to Mary Tooke in 1682; they had three children whilst residing in Islington. Halley held a close affiliation with astronomical affairs, which is why after leaving Oxford he set up an observatory consisting of an aerial telescope in Saint Helena; this was for the sole intention of studying stars from the Southern Hemisphere. The Royal valued his astronomical leanings enough to call him for the resolution of Hevelius’ observational conclusions. This already elevates the standard of Halley’s involvement within the astronomical field. In 1691 not only did he build the diving bell but also introduced a model of the magnetic compass, even though he applied for the post of Savilion Professor of Astronomy at Oxford however it was faced with protest from the Archbishop of Canterbury. He also made notable analytical reviews about the Earth and its concentric shells. His publication on life annuities probed the British government to determine life annuities in accordance with the age of the purchaser. After learning Arabic he completed the writings on Apollonius’ Conics. Halley also made a voyage in order to ponder upon the variation of the compass; the results were published in General Chart of the Variation of the Compass (1701). Synopsis Astronomia Cometicae (1705) stated his comet sighting opinions. He was appointed Astronomer Royal in 1720. It is interesting to know that Kepler’s Law of Planetary Motion didn’t appeal to the mathematician at first, which led his meeting with Sir Isaac Newton in 1684 at Cambridge. When Halley discovered that Newton had already come a sound conclusion of the problem but hadn’t published anything, it led to a new academic strive. With Halley’s expenses it was possible to publish Philosophiæ Naturalis Principia Mathematica (1687), which would no longer cause academic distress since it outlined Newton’s findings. Halley documented details of 341 southern stars in 1678 in the publication, Catalogus Stellarum Australium. This was followed by awarding of an M.A degree at Oxford and his invitation as a Fellow in the Royal Society. He also published about atmospheric motions, trade winds and monsoons; to top it all off he also built upon the relationship between barometric pressure and height above sea level. These findings included charts and visual imagery which in turn promoted the concept of information visualization. He was buried in the graveyard of St Margaret church at Lee, South London which is now in ruins. The mathematician made his mark by numerous publications and research.